A rich blend of history and spirituality, adventure and politics, laced with the thread of black comedy familiar to readers of William Dalrymple’s previous work. In AD 587, two monks, John Moschos and Sophronius the Sophist, embarked on an extraordinary journey across the Byzantine world, from the shores of the Bosphorus to the sand dunes of Egypt. Their aim: to collect the wisdom of the sages and mystics of the Byzantine East before their fragile world shattered under the eruption of Islam. Almost 1500 years later, using the writings of John Moschos as his guide, William Dalrymple set off to retrace their footsteps. 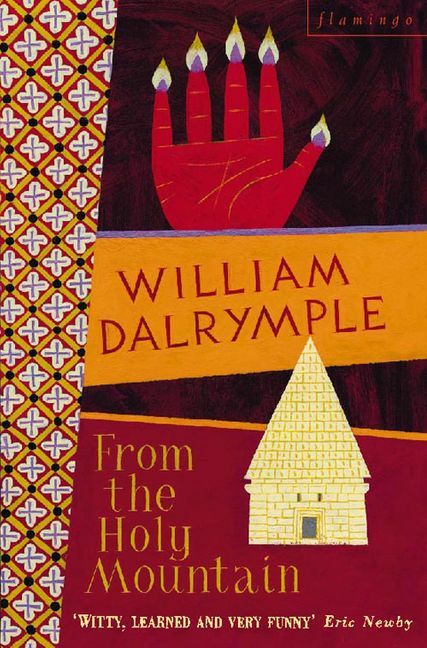 Taking in a civil war in Turkey, the ruins of Beirut, the tensions of the West Bank and a fundamentalist uprising in Egypt, William Dalrymple’s account is a stirring elegy to the dying civilisation of Eastern Christianity. William Dalrymple’s first book, In Xanadu, won the Yorkshire Post Best First Work Award. His second, City of Djinns, won the Thomas Cook Travel Book Award and the Sunday Times Young British Writer of the Year Award. His third, From the Holy Mountain, was shortlisted for the Duff Cooper Prize and the Thomas Cook Award. A collection of his pieces about India, The Age of Kali, was published in 1998.